While being effortlessly pummeled, Father desperately tries to absorb Greed’s Philosopher’s Stone. 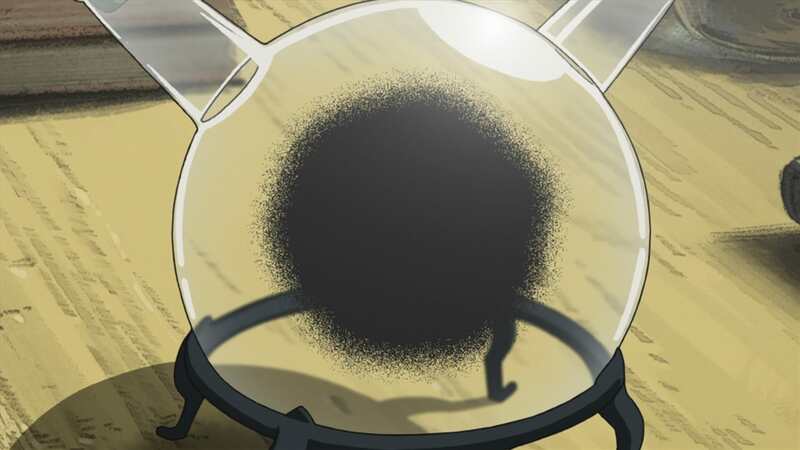 Greed decides to part from Lin’s body, and uses his carbonization ability to turn Father’s body into weak charcoal. Father extinguishes Greed’s soul, killing him, but Ed punches through Father’s chest, releasing all the souls of the people of Xerxes and sending Father to the Gate of Truth where he is trapped for eternity. In the wake of Father’s defeat, everyone mourns Al’s sacrifice. Ed rejects using a Philosopher’s Stone to bring him back to life, even after Hohenheim offers his final life as an apology for the pain Ed and Al were forced through. 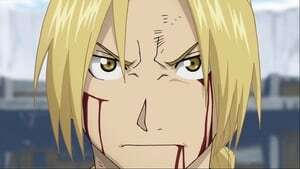 Ed ultimately decides to perform a human transmutation on himself, sacrificing his own Gate and his ability to use alchemy with it. As a reward for discovering he doesn’t need to perform alchemy, Ed is allowed to bring Al back with him in his original body. As everyone recuperates from the battle, Hohenheim returns to Resembool and dies peacefully before Trisha’s grave.